I have been living with Crohn’s Disease for over 35 years. It has been challenging to say the least. At the worst part of my marathon in 2007, I had over 25 blood transfusions due to my body not being able to hold blood levels. I was literally in the hospital every other week for a unit or 2 of blood on my lunch break. I have had 3 surgeries, of which a total of 36 inches of my small intestine has been removed. With that in mind, running can be a challenge in itself which I won’t get into details. In December 2017, my company held a 1 day event to recharge the employees for 2018. It was a day of motivation with several speakers. One of them struck a chord with me. Cedric King is a veteran that lost both of his legs from an IED. He has done multiple marathons and attempts at Iron Man competitions. I would encourage you to listen to his story. After hearing Cedric speak, I thought to myself if a guy with blades for his legs can run a marathon, why can’t a guy with Crohn’s? With that said, I decided it was time. This has been on my bucket list of life so now is the time. I hadn’t run any significant distances since July of 2017 so it was time. I have done 5 and 10Ks, but never anything longer. When I got home from our quarterly meetings and the day of motivation, I went online and registered. 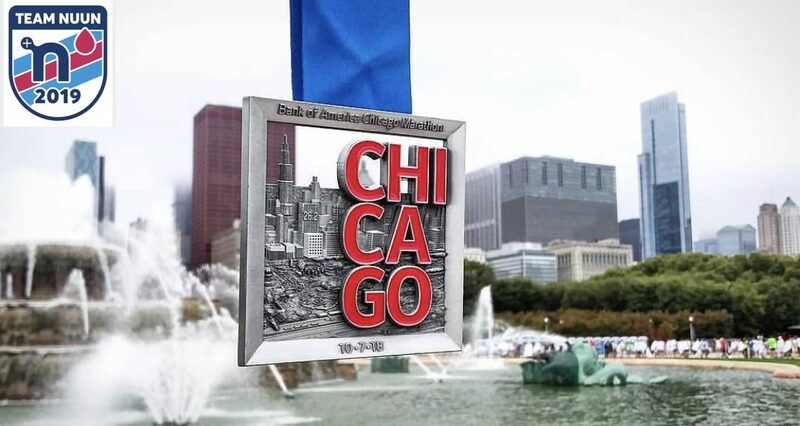 The lottery to enter in the Chicago Marathon was closed and the only way to do it was to do it through a charity. I looked at the charities that I could register for and sure enough, CCFA (Crohn’s and Colitis Foundation of America) was on the list. I registered and now is the time to get the fundraising going. In order to mark this off my bucket list of running a marathon with some of my awesome coworkers, I have to raise $1500, all of which will benefit research to find a cure for this incurable disease. You can help support the cause here http://bit.ly/2mZXqf8. I will be tracking my training and thoughts on this blog moving forward so you all can follow my journey. Looks good! Cheering for you all the way. Best of luck! I was diagnosed with Lupus and I ran my first 5k this past October for a Lupus Awareness Run and it felt amazing to show everyone that our chronic illnesses do not define us. (Especially because a few months before I could barely walk). We can do anything as long as we are in the right mindset with the right intentions! I look forward to following you through your journey!